Pack of 20 bamboo-centred incense sticks made with all natural ingredients, hand blended and hand rolled from resins, pure essential oils, floral perfumes and a delicate blend of scented flowers, leaves, charcoal and wood powders. Ganesh is a masterpiece, rich and sumptuous, feminine and happy. 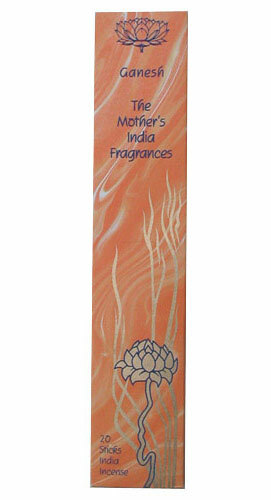 An exceptionally clean, well balanced and warm incense. It is full of beautiful lavender, although you may not recognize it, with hints of rose and rosemary.